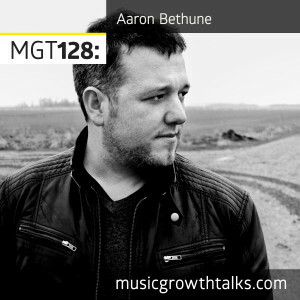 AAaron Bethune, the author of “Musicpreneur: The Creative Approach to Making Money in Music” and founder of Play It Loud Music, Above the Noise and JAM, is back to Music Growth Talks. Listen to episodes #29 and #80 for more on Aaron. This episode starts with the discussion of a blog post Aaron wrote about last year’s scandal around the LA metal band Threatin, who faked their whole online presence to land a European tour no one attended, which led to the promoters exposing the band online. Was the case all that shockingly new to the music industry though? Did Threatin go too far, or didn’t they go far enough? Listen to Aaron’s insights on this controversial topic, with examples of Elvis Presley and Taylor Swift applying the “fake it till you make it” mindset at early stages of their careers. Aaron then broadens the theme of con artists, and gives examples of how his artists and himself have been attempted to be scammed. There is a few crazy stories involving Def Jam, president of UPS, and US Secret Service, so listen on to hear it all.